FREE Benefiber Sticks w/ Coupon! 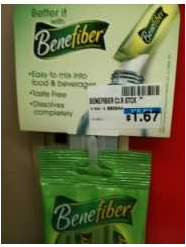 Print out this Benefiber coupon to score FREE Benefiber Sticks at CVS! Thanks, Living Rich with Coupons for deal and photo!